The Plymouth Artisan Cheese Factory is a fun place to visit. 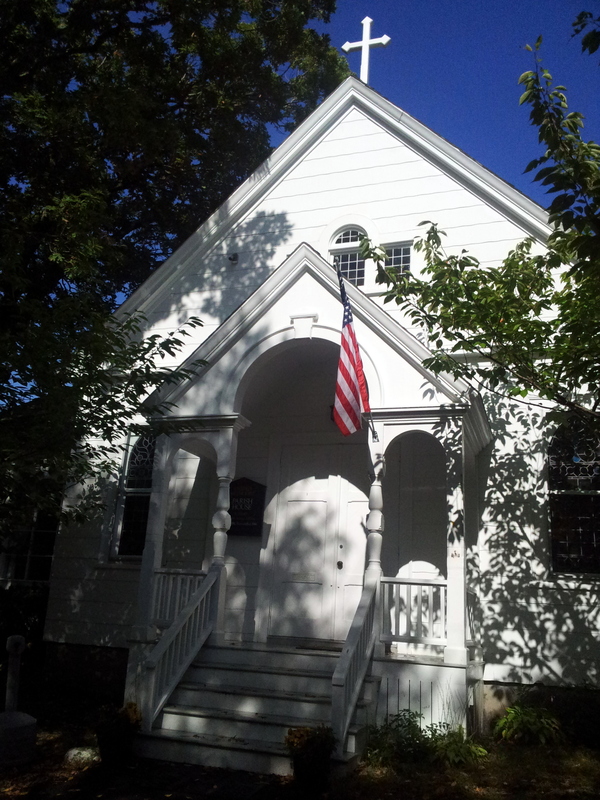 Located in Plymouth Vermont, it is a state historical site honoring President Calvin Coolidge. There are tastings and tours, museum, talks, and events planned year round. I love their website, “Know Your Cow”! The Plymouth Cheese Factory was opened in 1890 by John Coolidge, the Father of the 30th President of the United States, Calvin Coolidge. Plymouth Cheese is an American heritage cheese with its own unique characteristics and a fine reputation. The Plymouth Cheese Factory in Plymouth, Vermont, is one of the oldest cheese operations in the United States. To read more of this rich history, click here. It is fun to visit new places. The Vermont Country Store is in two locations in Vermont. The Weston location has a nature trail to walk on. While the Rockingham business includes a grist mill and water wheel museum and a covered bridge for patrons to enjoy. The bridge is known as the Kissing Bridge. You’ll have to visit to discover why it was named this. 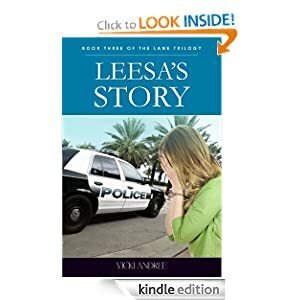 Interesting story! The stores include toys from your childhood, lots of penny candy, and of course Vermont cheeses. I think a store like this would make a great setting in a future book of mine. Who knows? 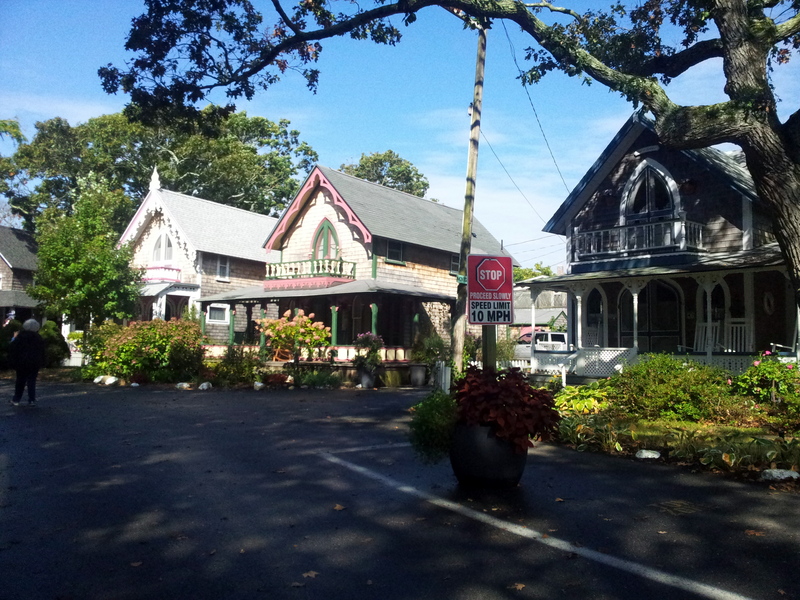 Martha’s Vineyard is a beautiful place to visit. I loved the old houses featured in today’s post. These are the gingerbread houses built from the tents that used to surround the camp meeting revival tent. 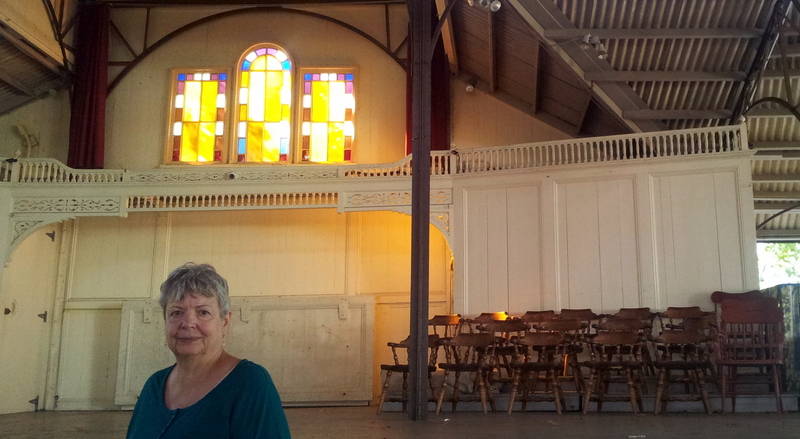 Today I thought it would be fun to share a little bit on the history of Martha’s Vineyard Campmeeting. 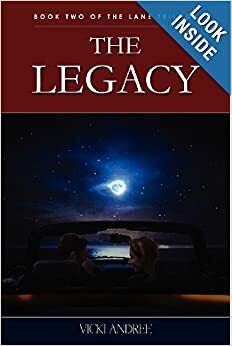 It is a great place to visit and who knows it might end up as a setting in a future book of mine. This article discusses more about the history of the campground. There are a number of photos of what it looked like over a hundred years ago. You can see pictures of the buildings, patrons, and even the water pump. The first campmeeting in what became known as Wesleyan Grove was held in 1835. 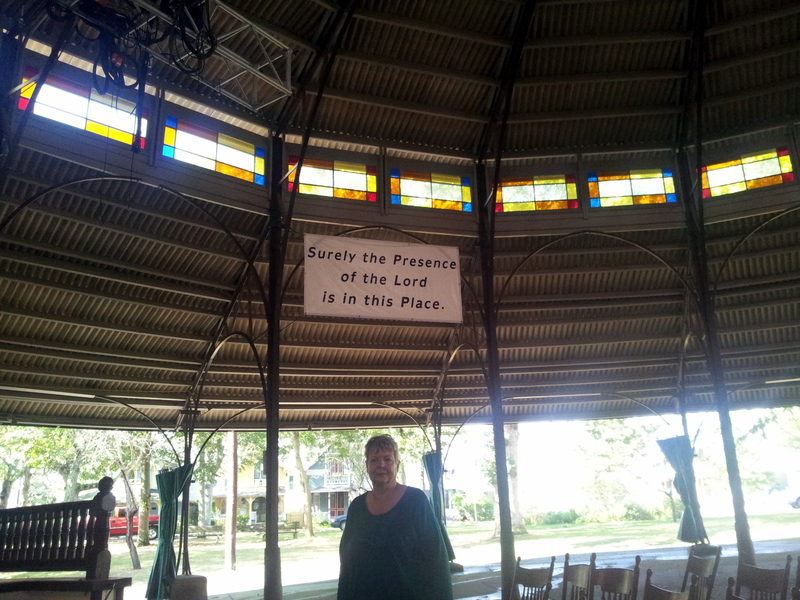 In subsequent years the congregations grew enormously, and many of the thousands in attendance were housed in large tents known as “society tents.” A congregation from a church on the mainland would maintain its own society tent. Conditions were cramped, with men and women sleeping dormitory-style on opposite sides of a central canvas divider. Society tents were arranged in a semicircle on Trinity Park. Over time, families began leasing small lots on which to pitch their own individual tents. In the 1860s and 1870s, the family tents were rapidly replaced with permanent wooden cottages. 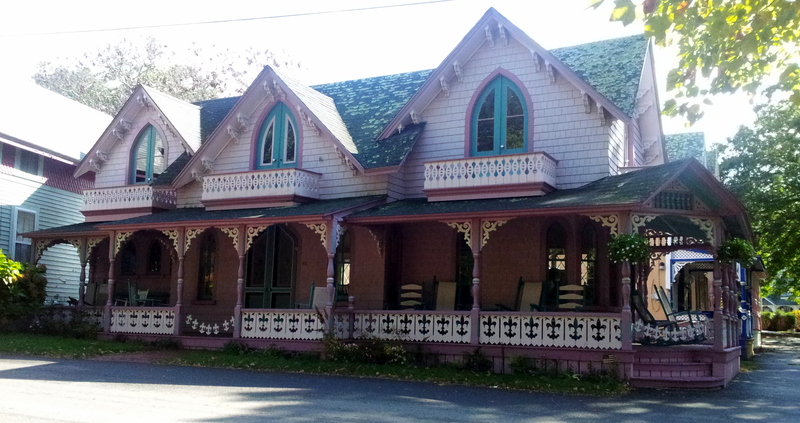 At one time there were about 500 cottages; today there are just over 300. Click here to learn more. 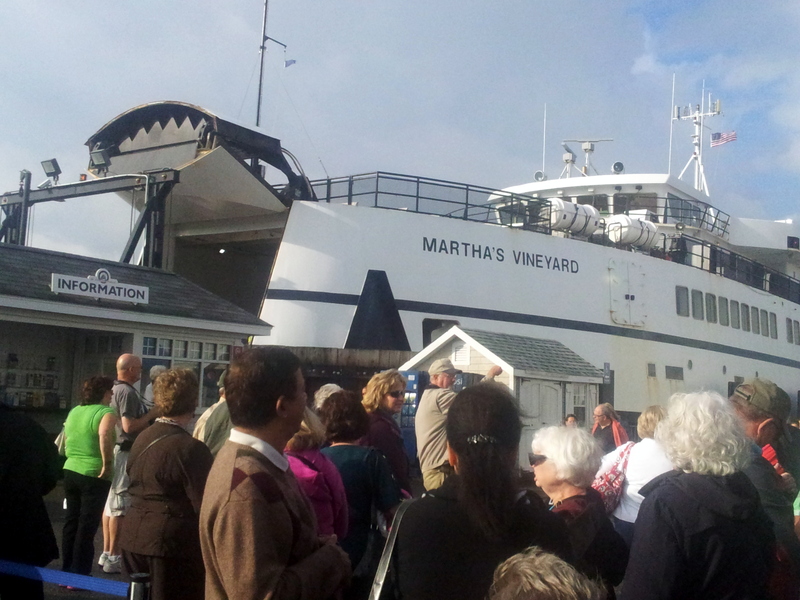 David and I enjoyed visiting Martha’s Vineyard. We took the ferry from Cape Cod, about an hour ride. 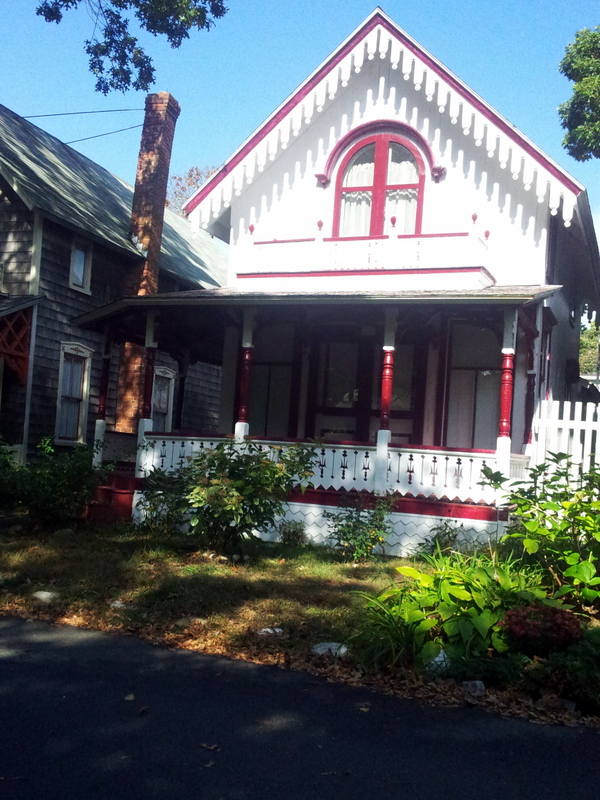 The people who we shared our booth with were on a search for a house their great grandfather had built on the island. Turns out, it was one of the famous gingerbread houses that surrounded the Revival Tent. 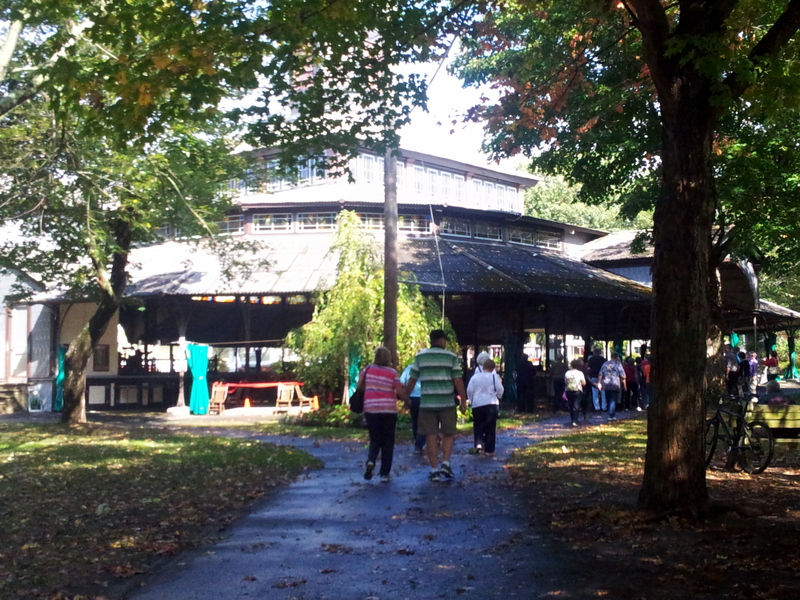 The Revival Tent has since been made into a permanent structure. The revival tent was the center of activity back in the day. 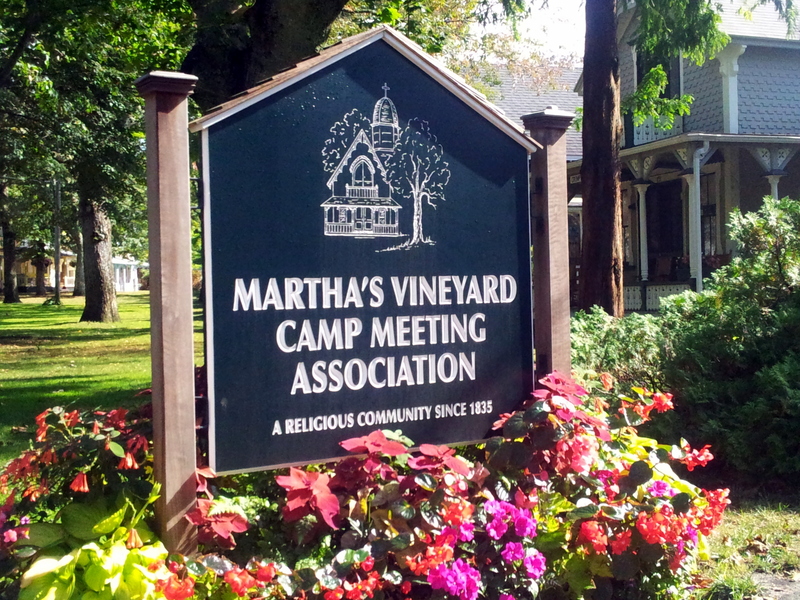 The Martha’s Vineyard Camp Meeting Association still thrives.